Millstone Manor is a medium-sized, kid friendly yard display in Rolling Meadows. The Tourers visited this haunt for the first time in 2012 as part of our northern Illinois suburbs exploration. Located on a quiet residential street, Millstone Manor makes excellentu se of a large front yard, featuring a number of well lit static displays surrounded by a fence and gate facade that welcomes visitors to the Manor. 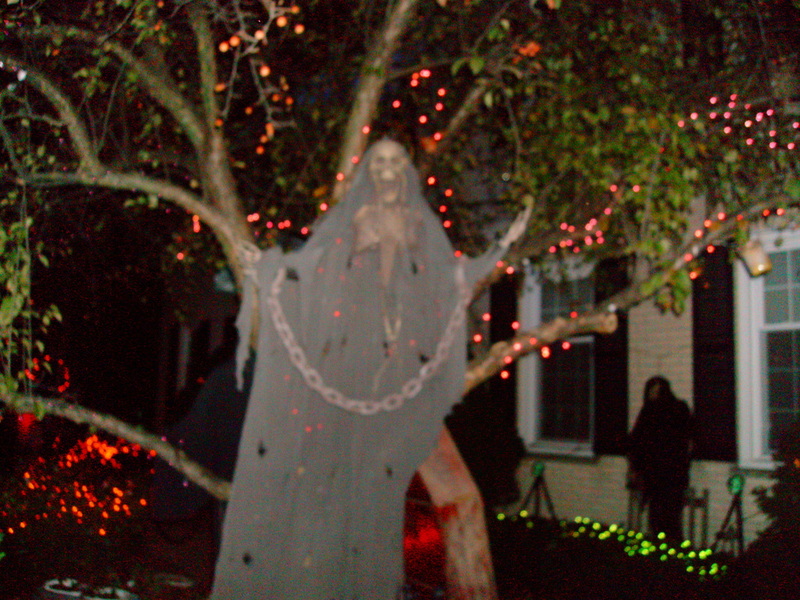 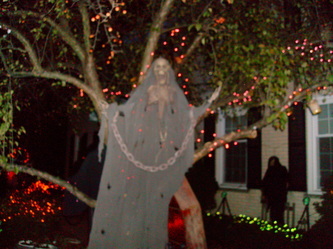 Displays include a large ghoul above the front door, skeletal pirates, a Jack-O-Lantern headed creature towering over a patch of Jack-O-Lanterns, and a chained spectral figure hanging in a tree. 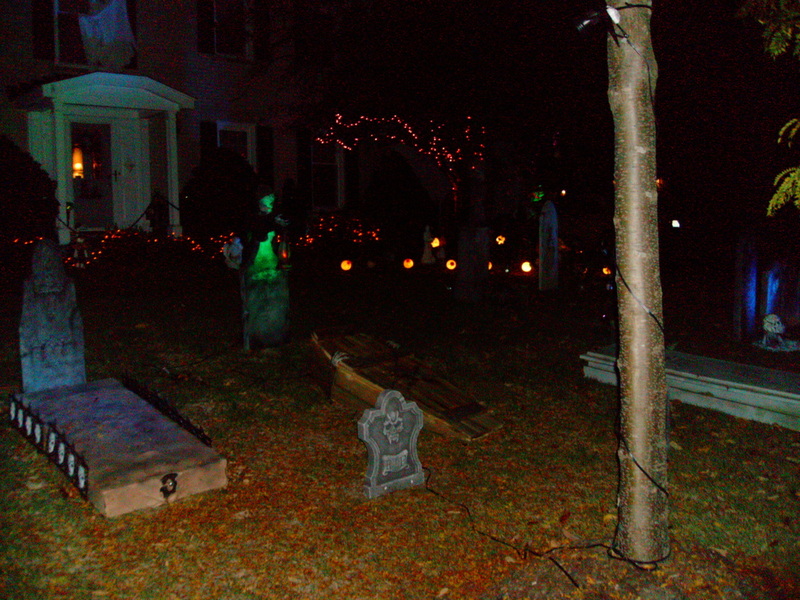 In addition to the above, the display featured a couple of things that stood out for us. 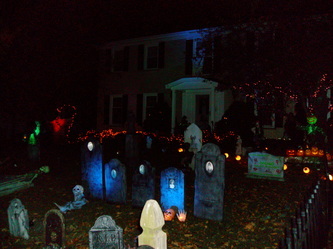 First was the row of elaborate tombstones, eerily lit with a bluish-purple light and featuring creepy photos of the dearly departed on each one. 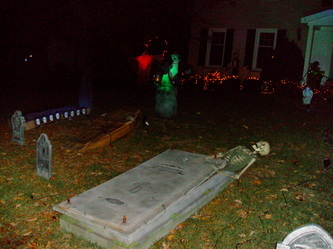 Second was a large, realtic looking tomb in the ground, out of which, struggling to emerge, was a skeleton. The tomb was very well constructed and could pass as real, which added to the sense of creepiness surrounding this part of the display. 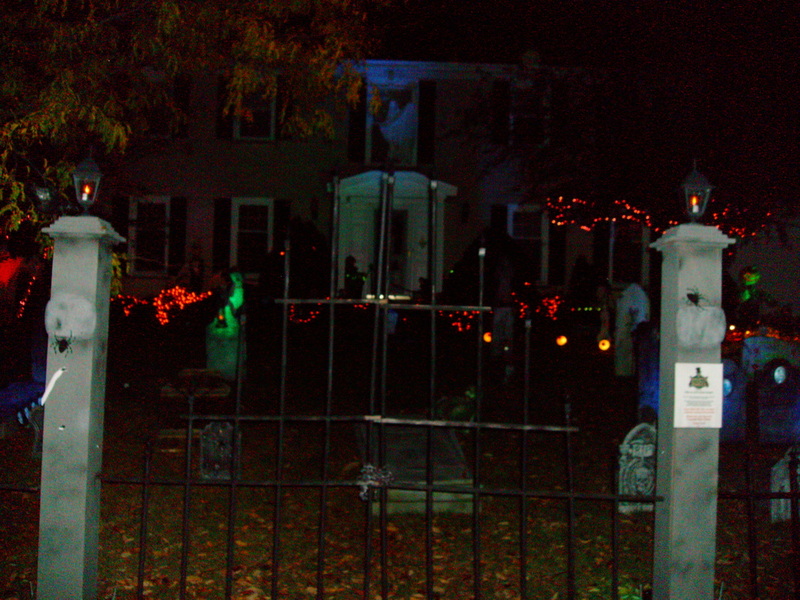 Overall, we enjoyed Millstone Manor quite a bit. Although there was not a huge amount of props, what was there was well designed and well lit, and the overall atmosphere was effective. 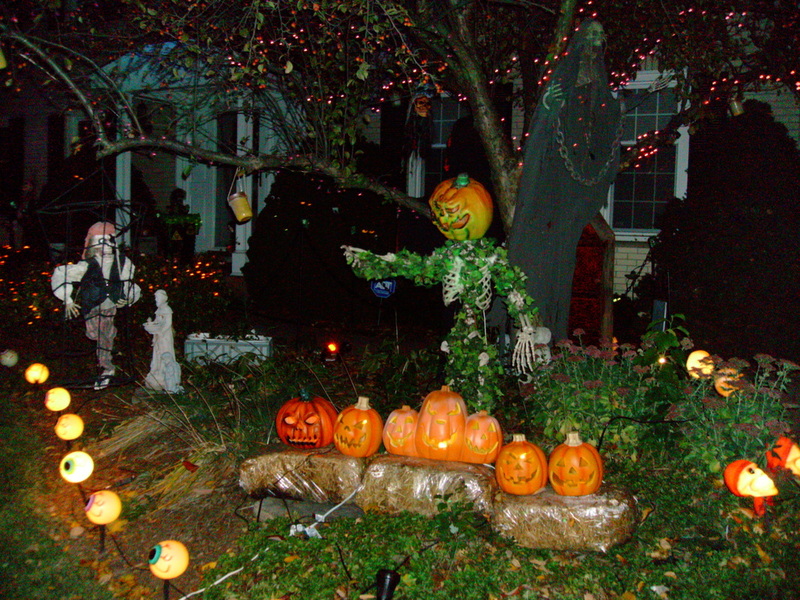 We'd recommend a visit if you're in the Rolling Meadows area.